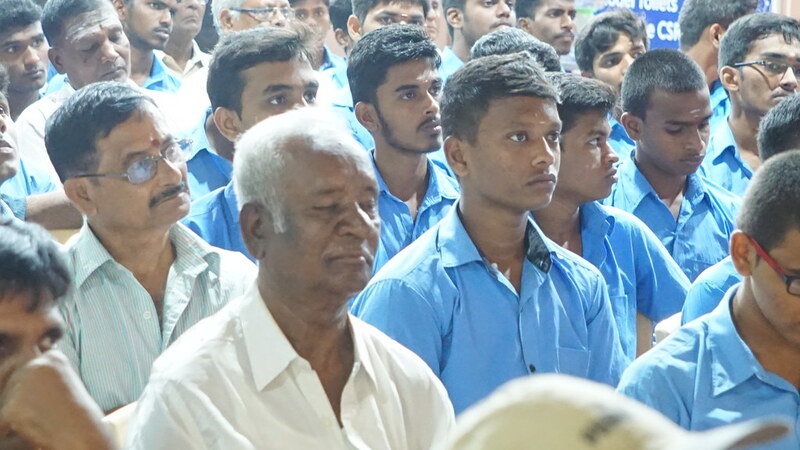 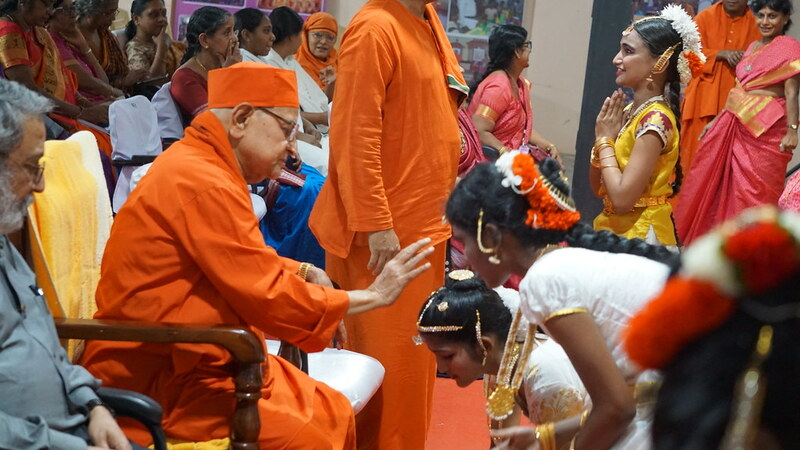 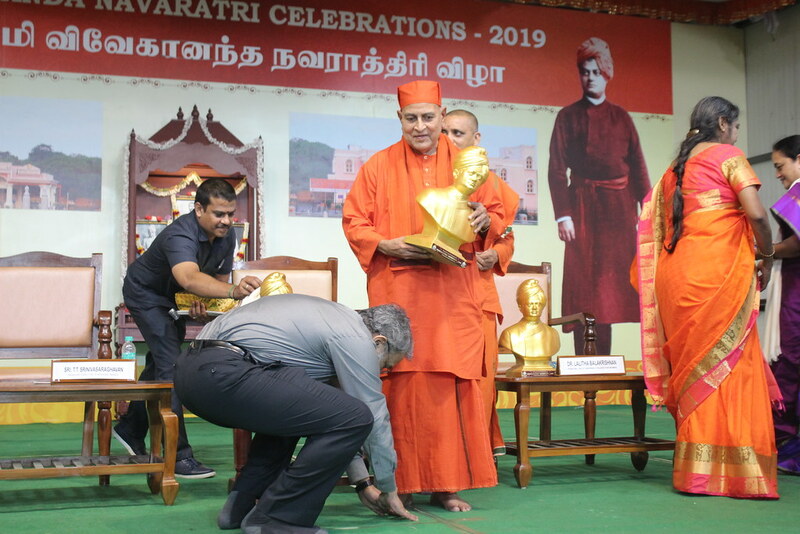 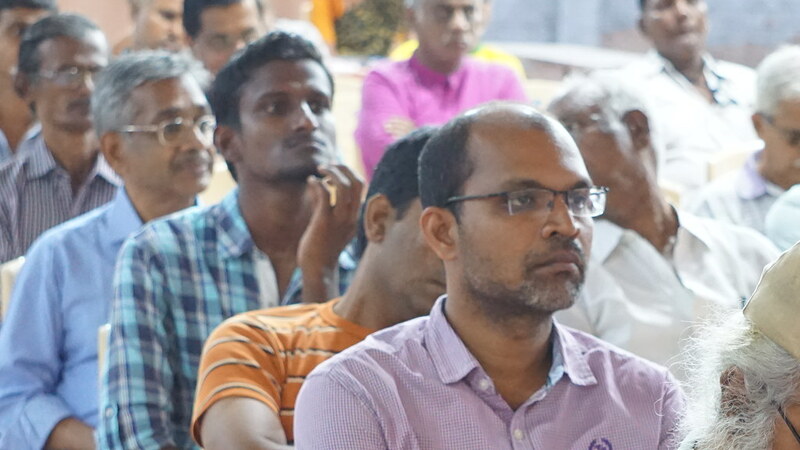 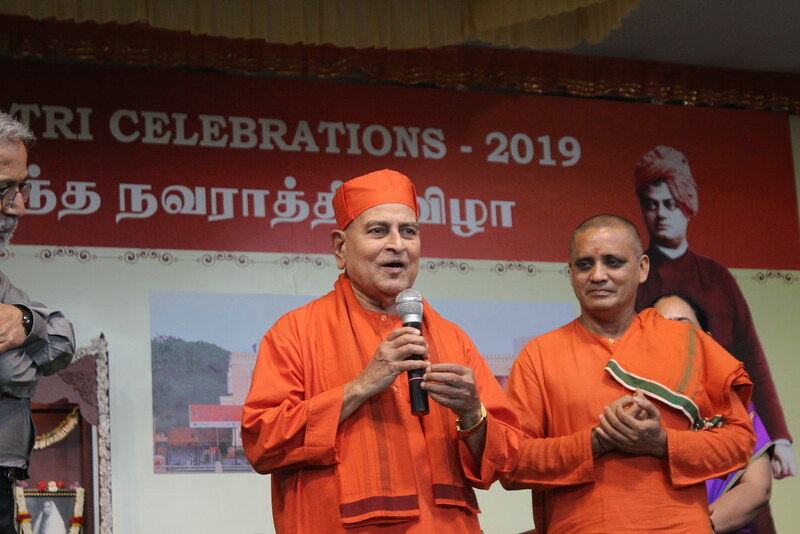 The sixth day (11th Feb) of Vivekananda Navaratri Celebration 2019 started at 5 pm with prayer. 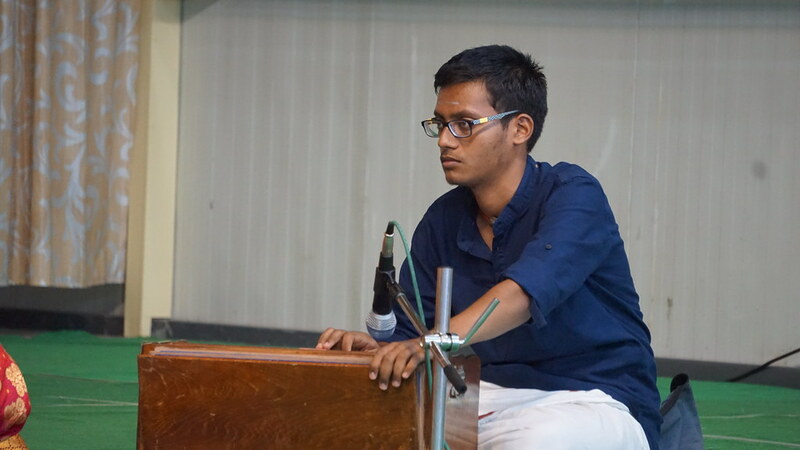 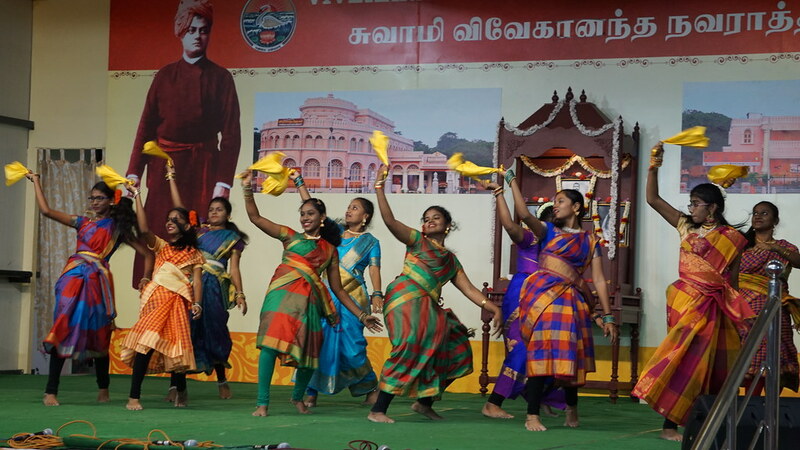 There was a cultural program by J.G. 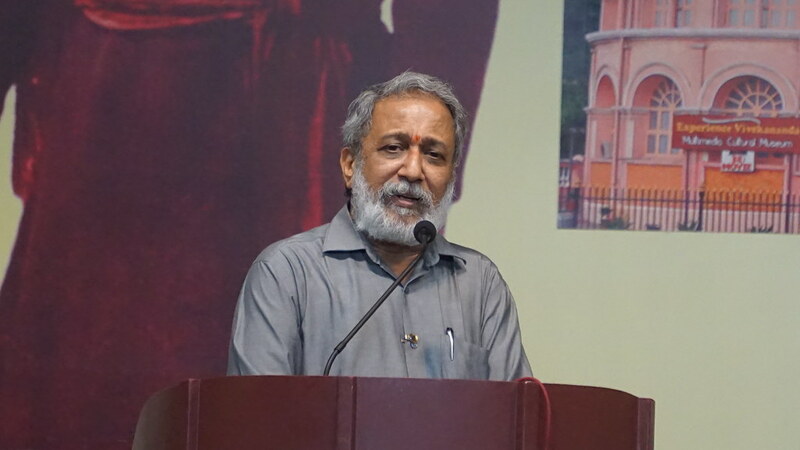 & G.K.Shetty Hindu Vidyalaya Hr.Sec. 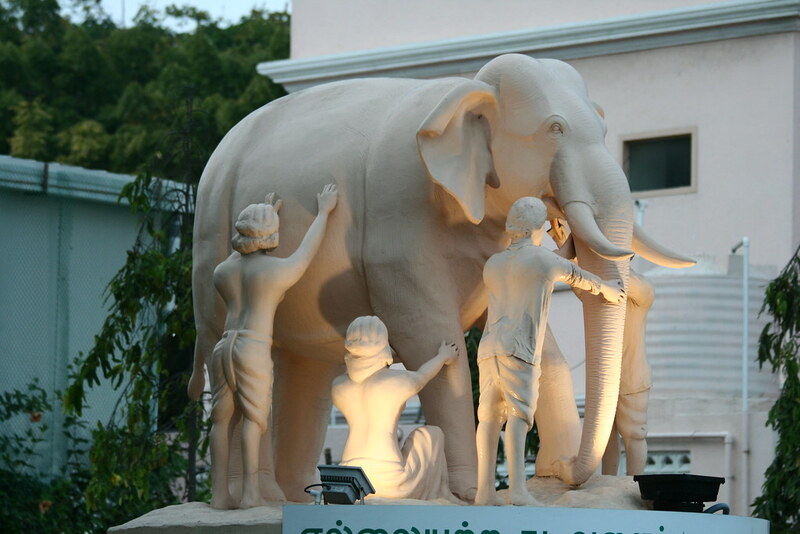 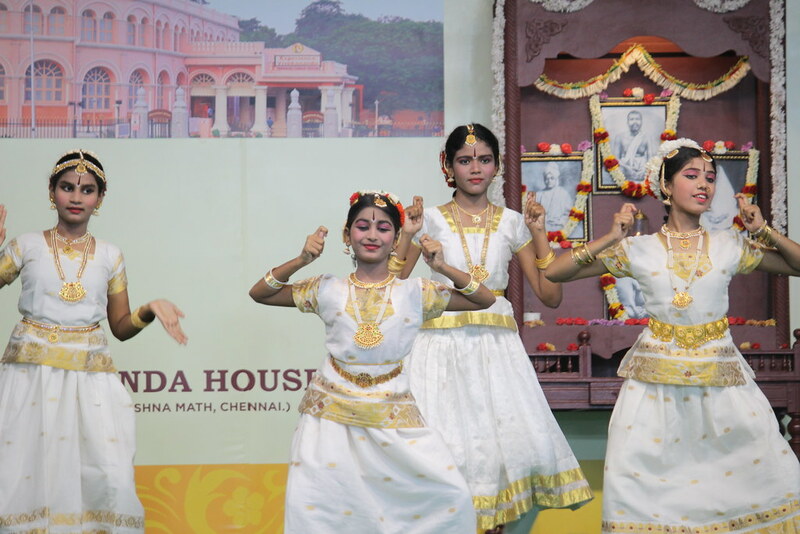 School, West Mambalam, Chennai. 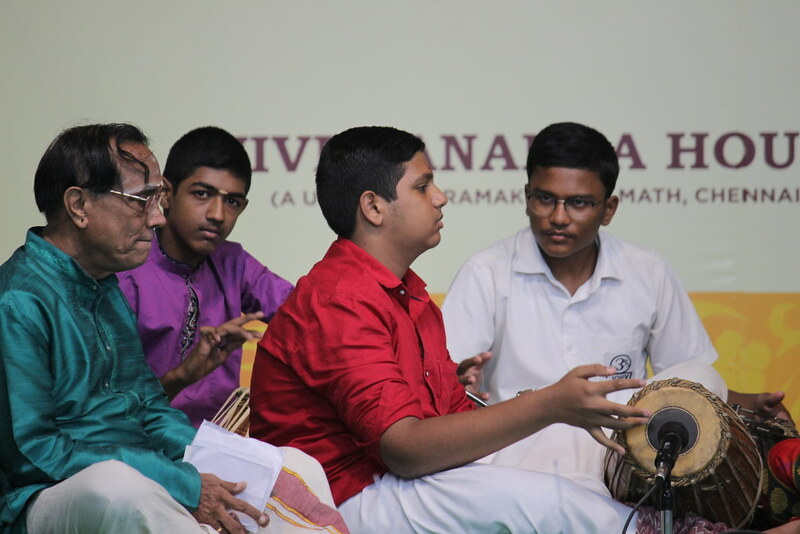 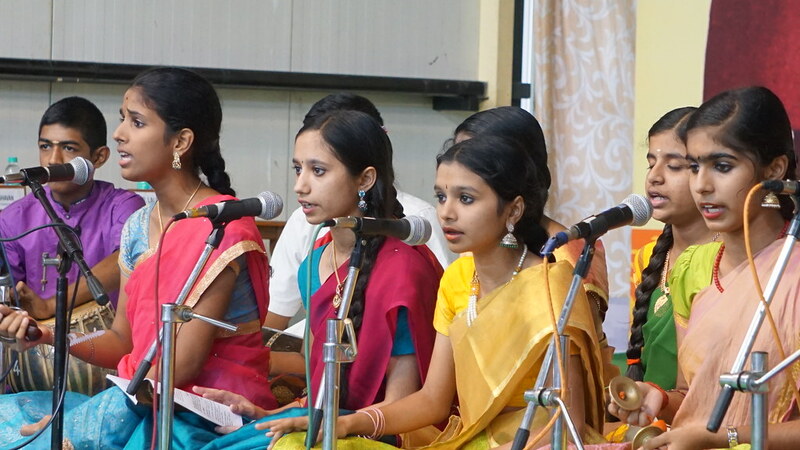 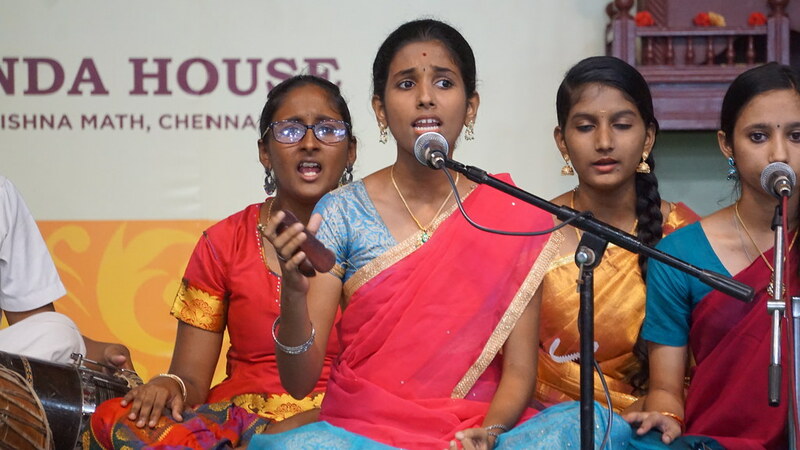 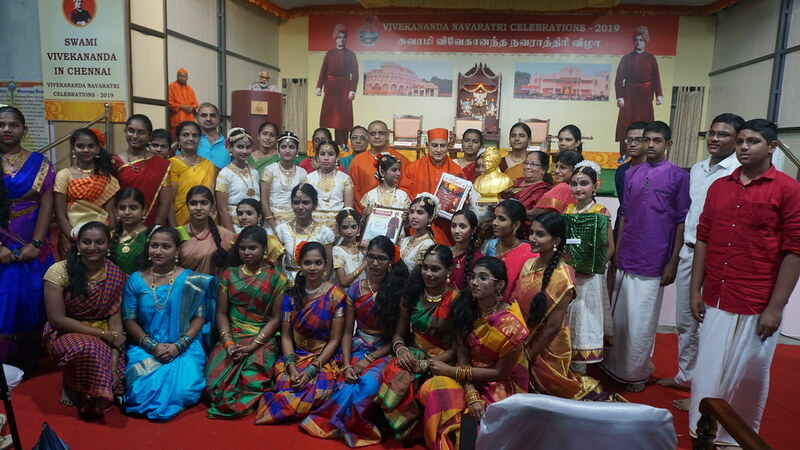 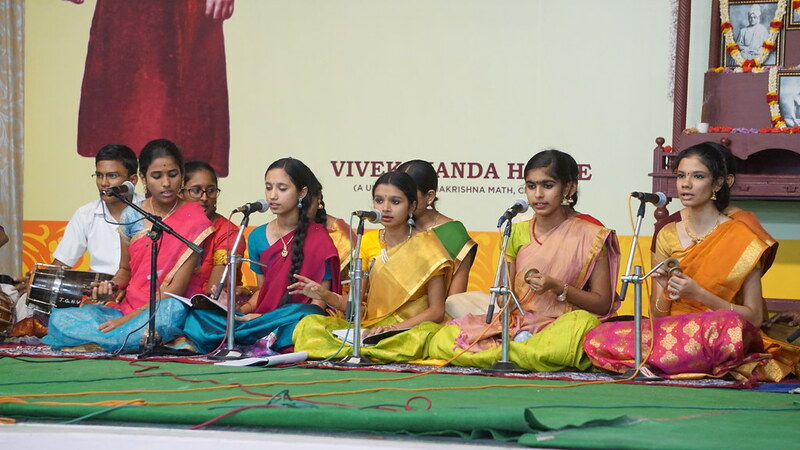 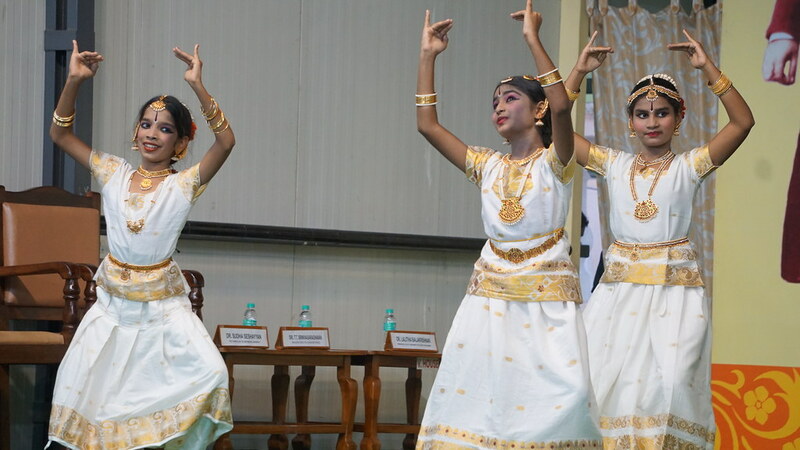 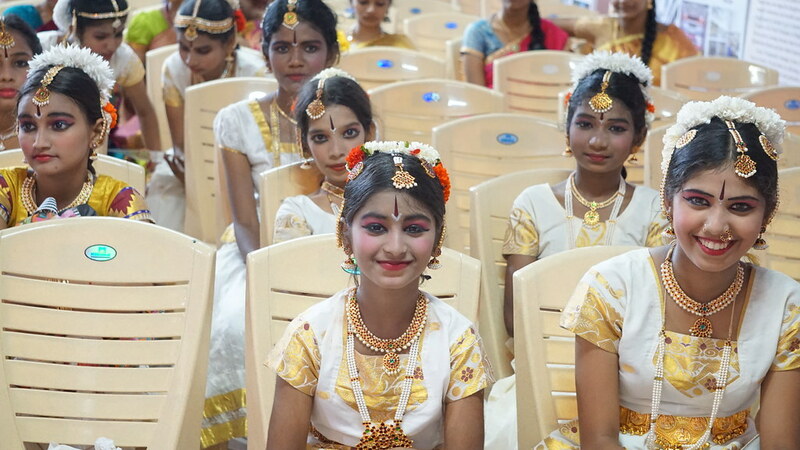 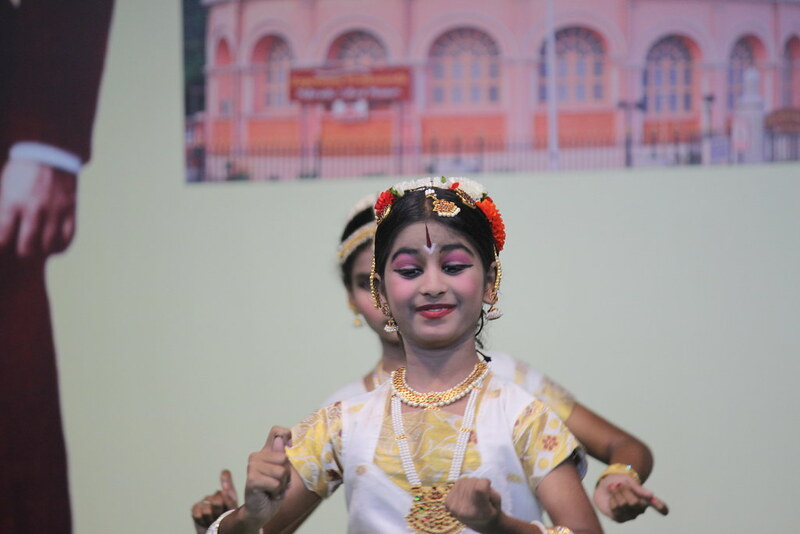 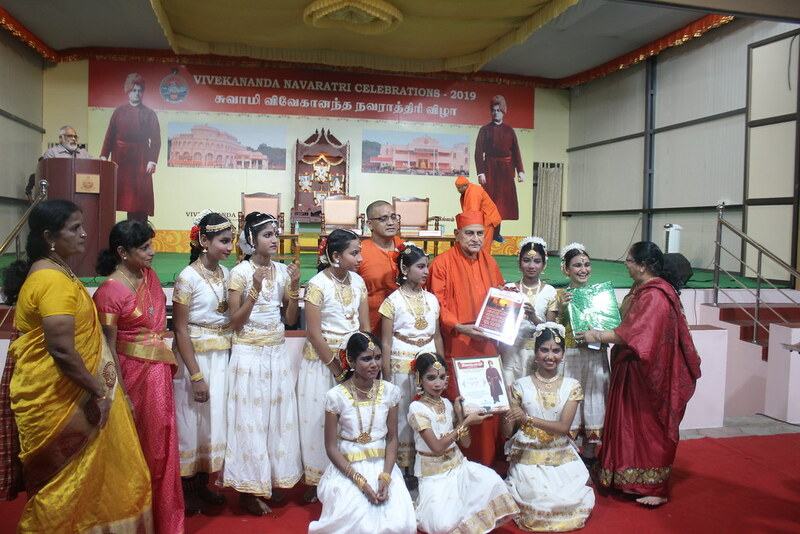 Students sang devotional songs and gave a dance performance. 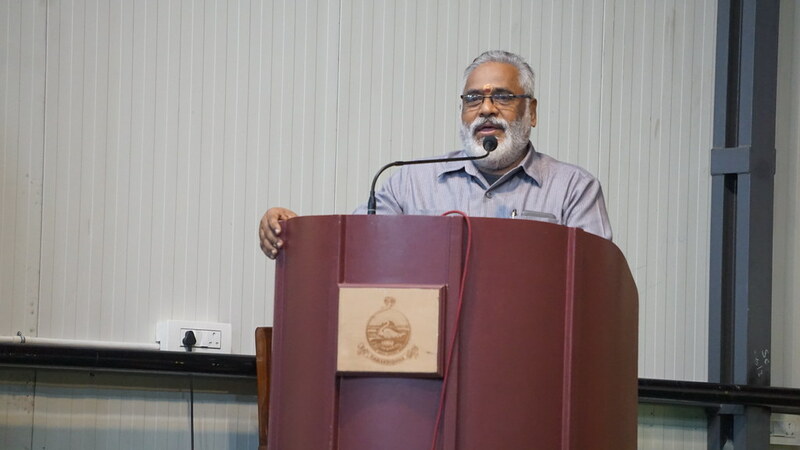 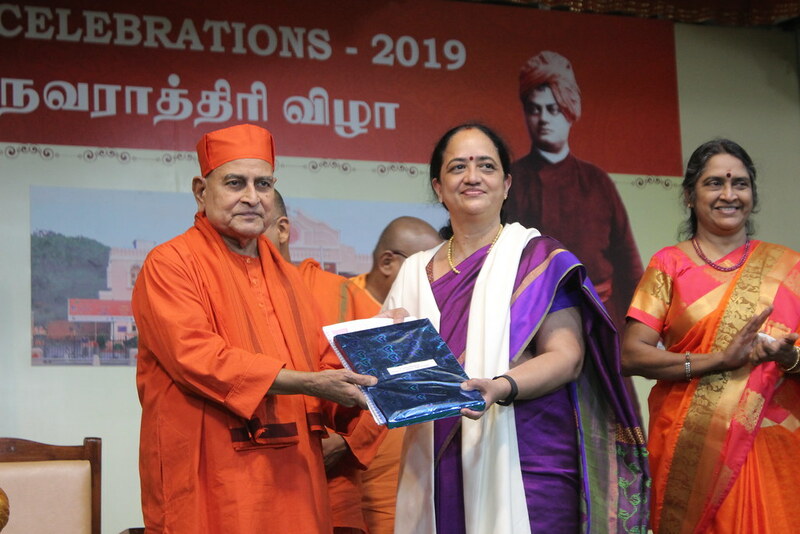 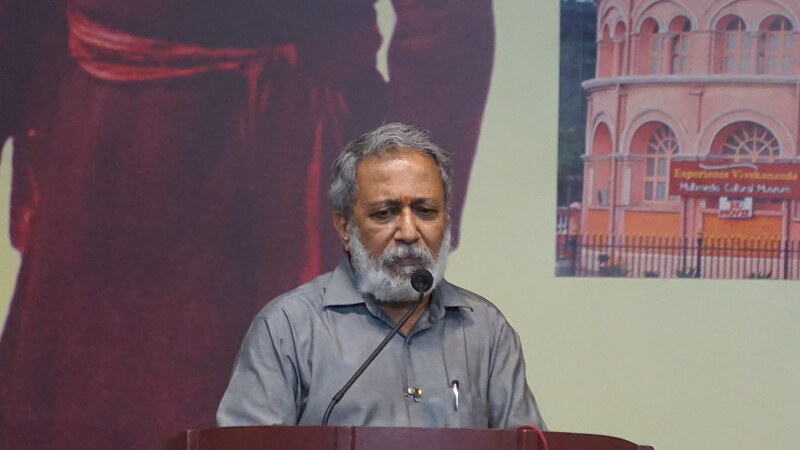 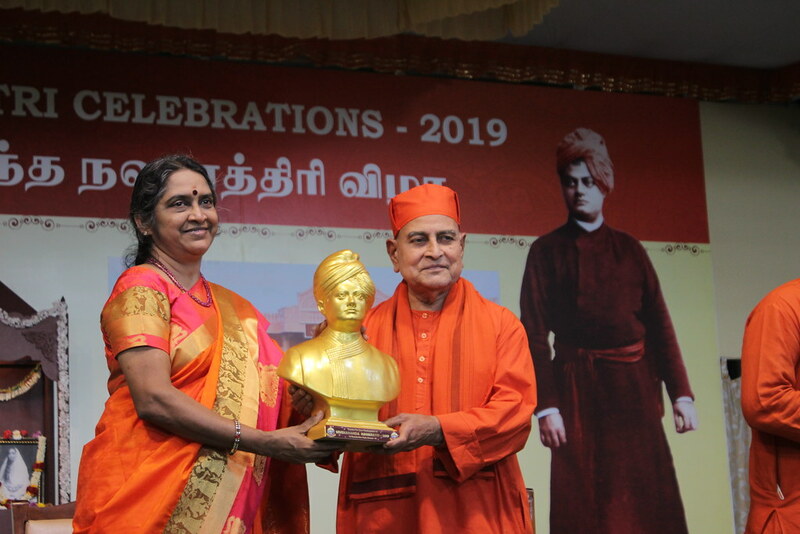 Sri T. T. Srinivasaraghavan, Managing Director, Sundaram Finance delivered a short speech on the message of Swami Vivekananda. 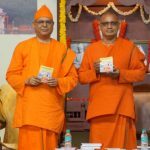 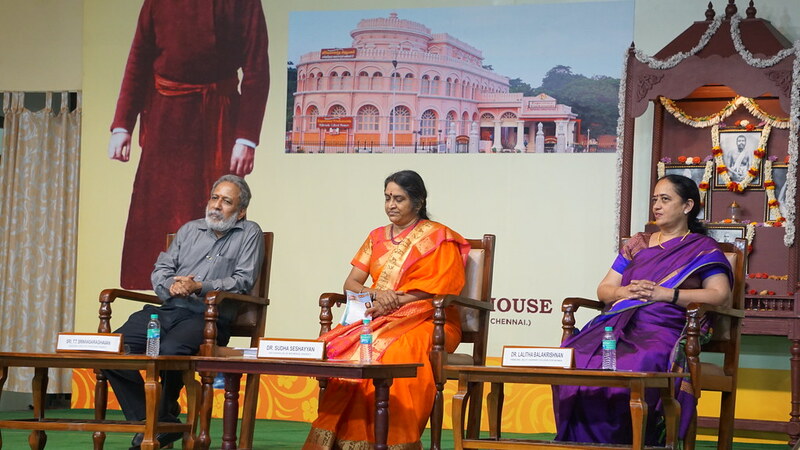 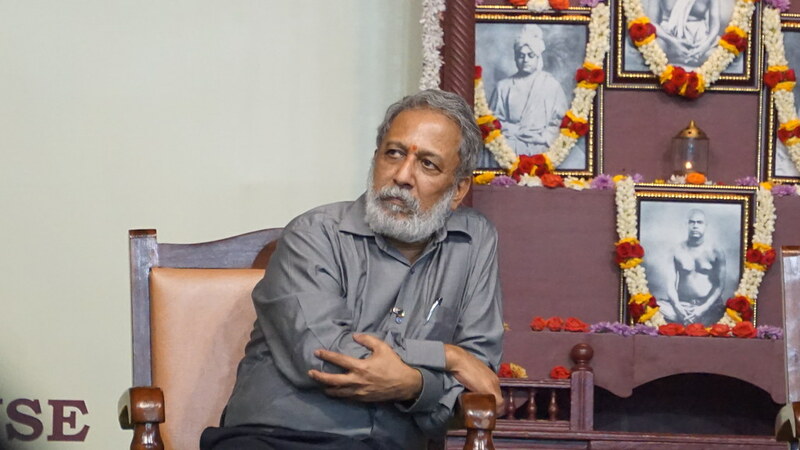 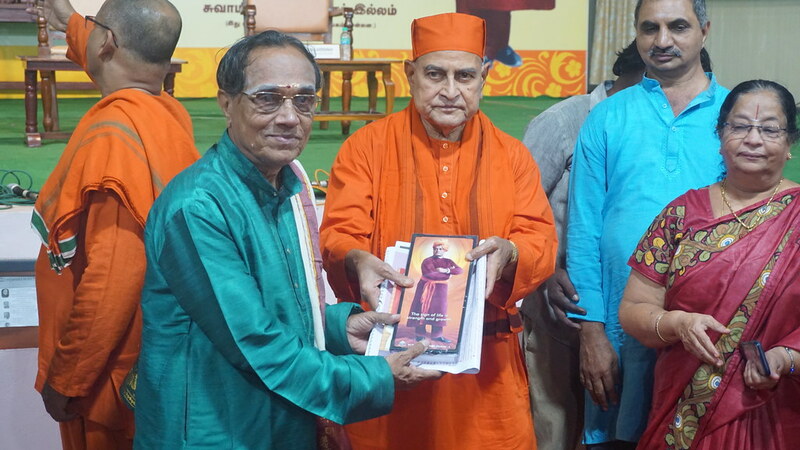 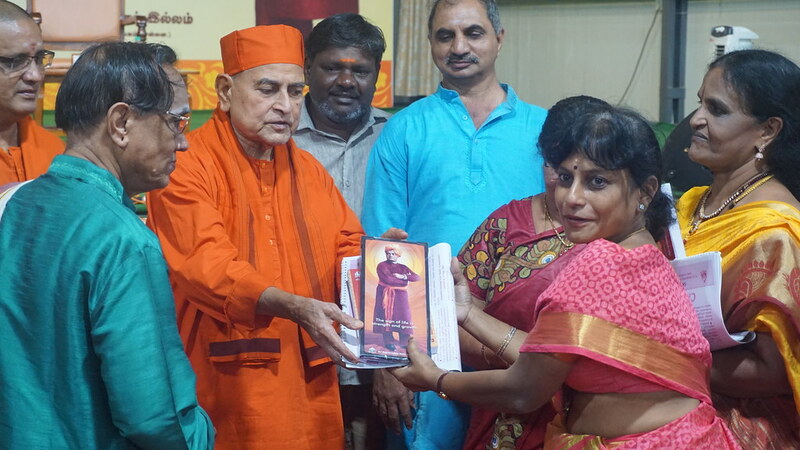 He pointed out that Swamiji’s message is relevant even to the modern world and mostly in India. 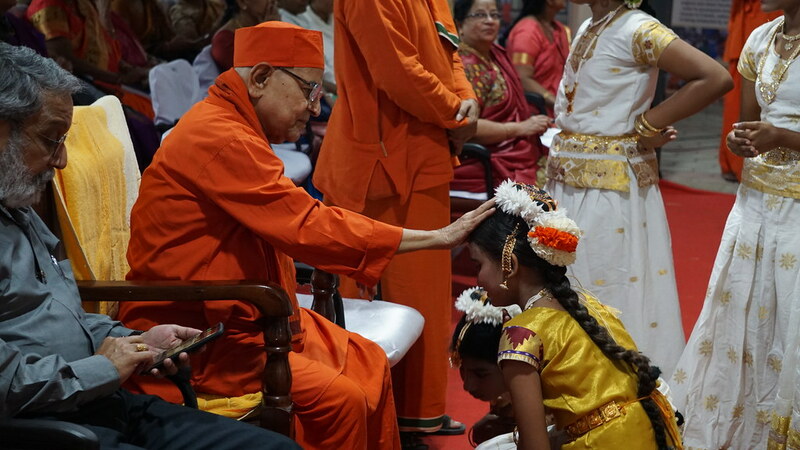 He said that India is a Punya Bhumi, and we are proud to be a citizen of this holy country. 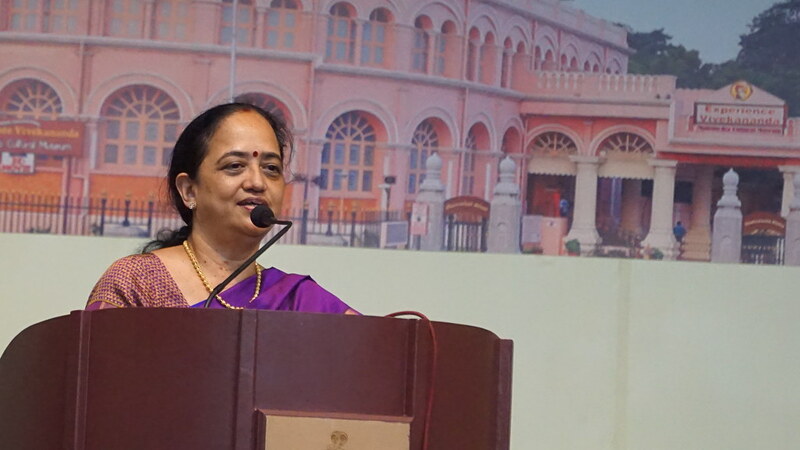 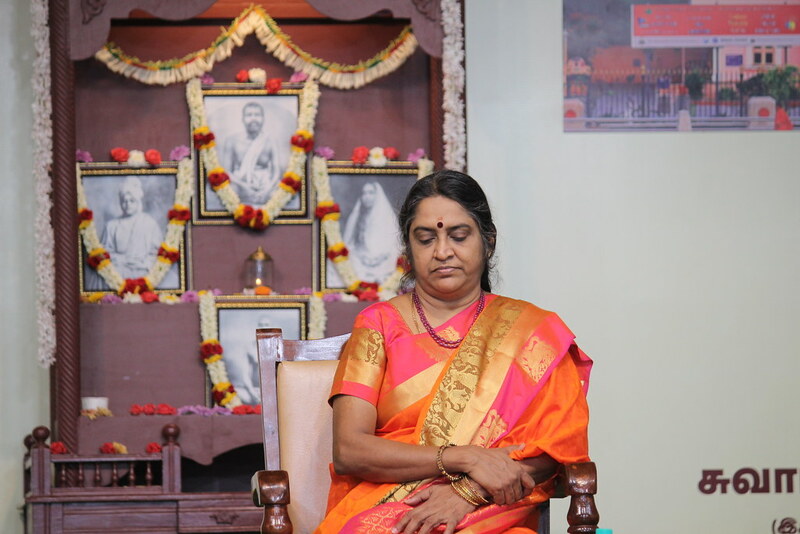 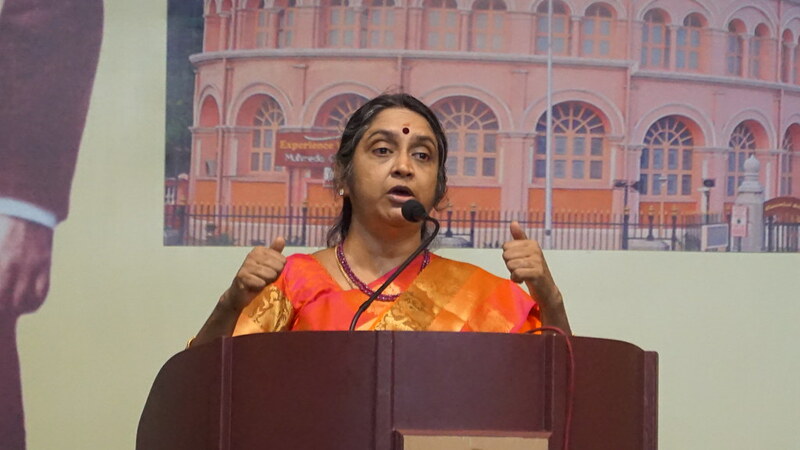 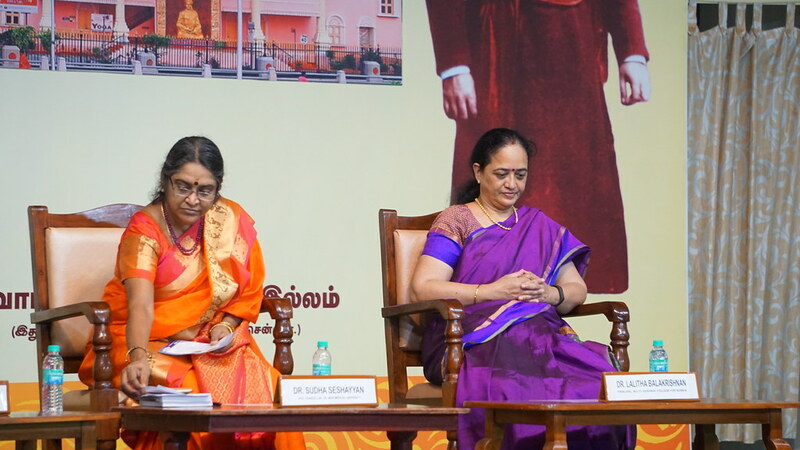 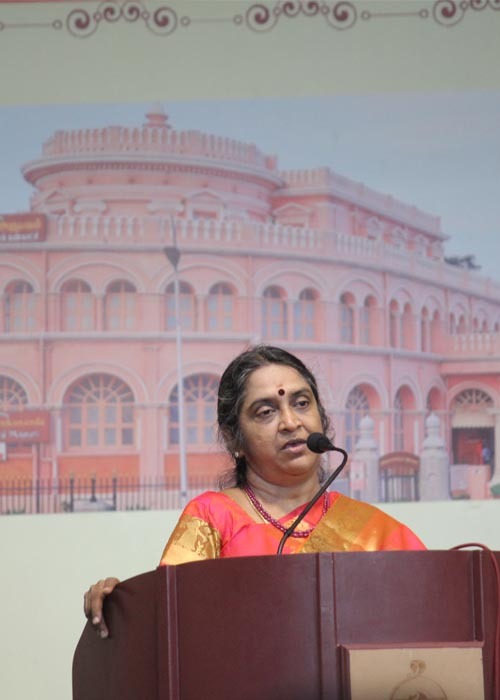 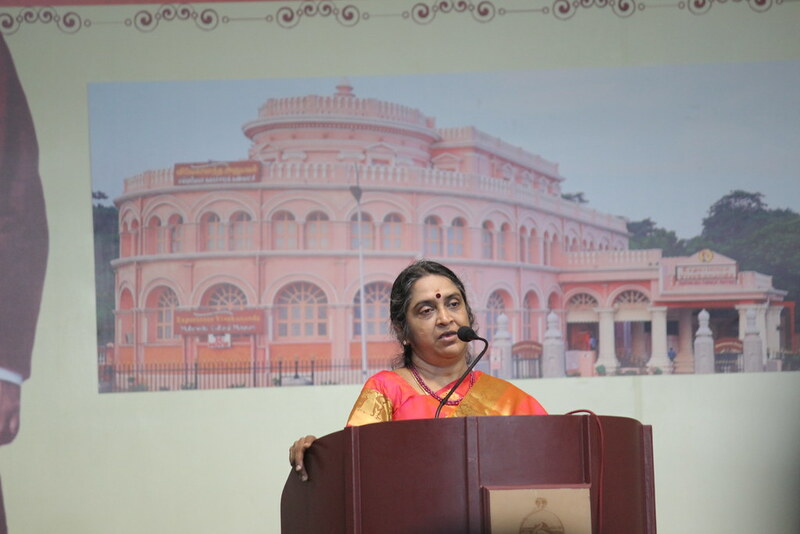 Dr. Lalitha Balakrishnan, Principal, M.O.P. 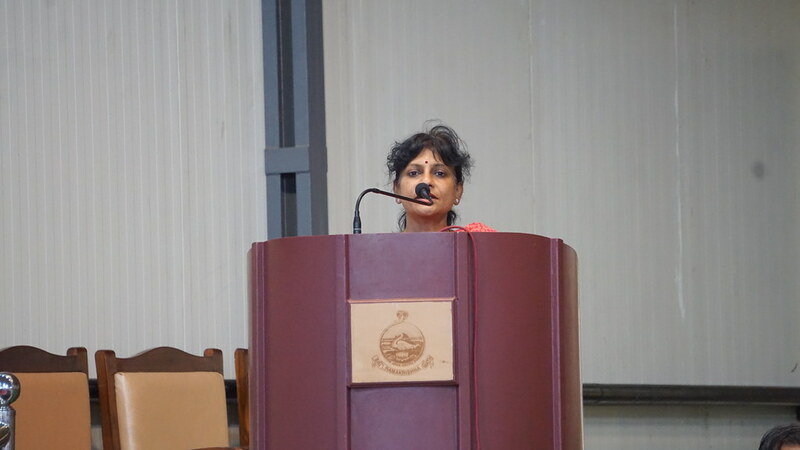 Vaishnav College for women participated as guest of honor. 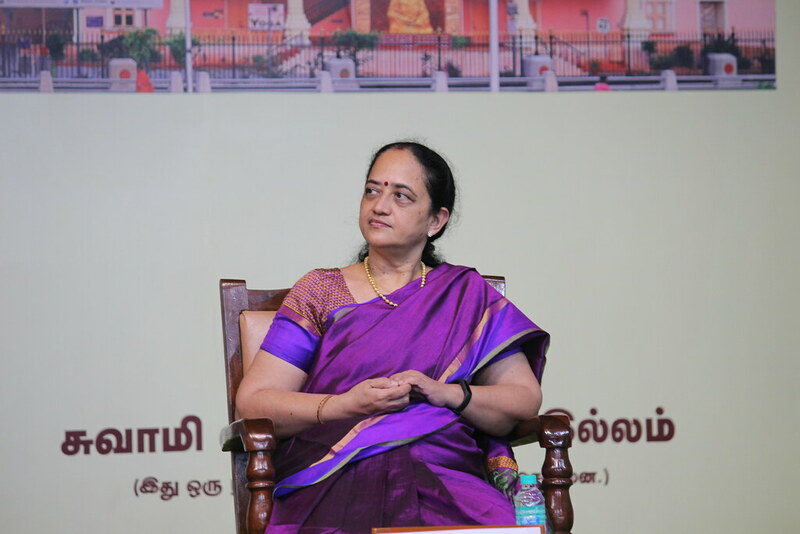 In her address, she stressed upon the value education that needs to be conducted for the youth and it should be taught in the mother tongue. 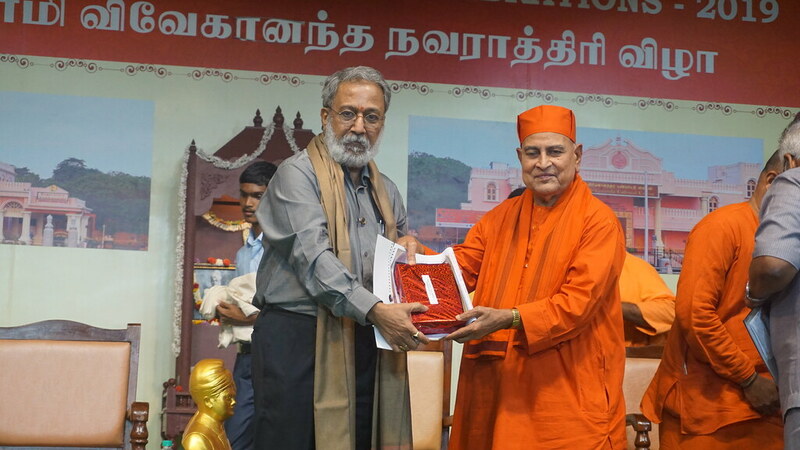 All the guests were honored with mementos and presentation. 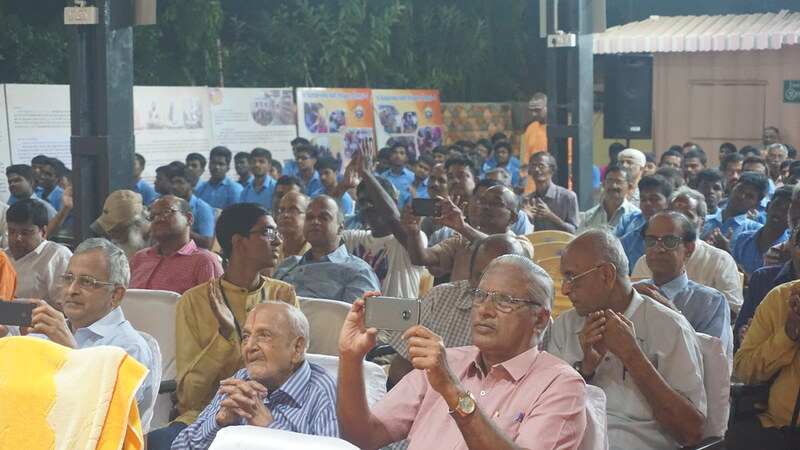 With the vote of thanks, prayers and distribution of Prasad the function concluded at 7.50 pm.